Deyaar Facilities Management is a subsidy of Deyaar Group and its activities include facilities management, building management, AC repairs and maintenance, CCTV repairs and maintenance and fire alarm installation and maintenance etc. 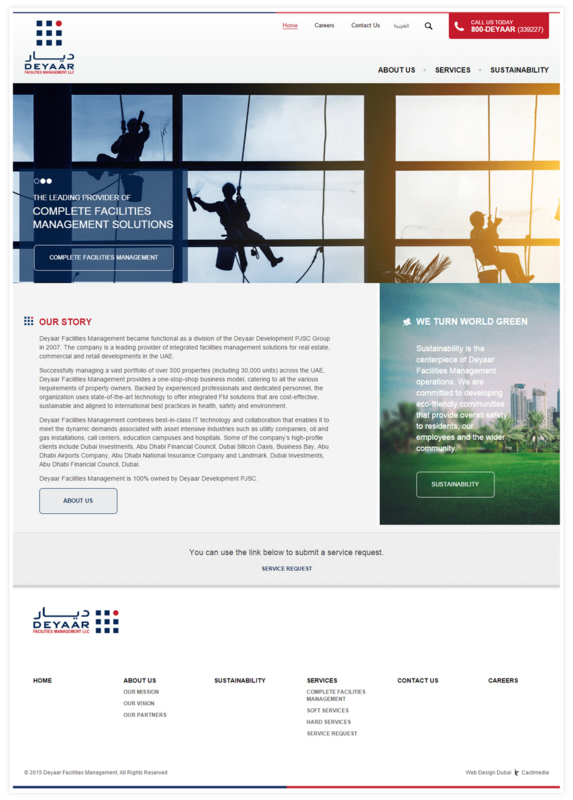 Deyaar came to Cactimedia looking for a new website that would show off and promote their facilities management portfolio – and that is exactly what Cactimedia gave them. 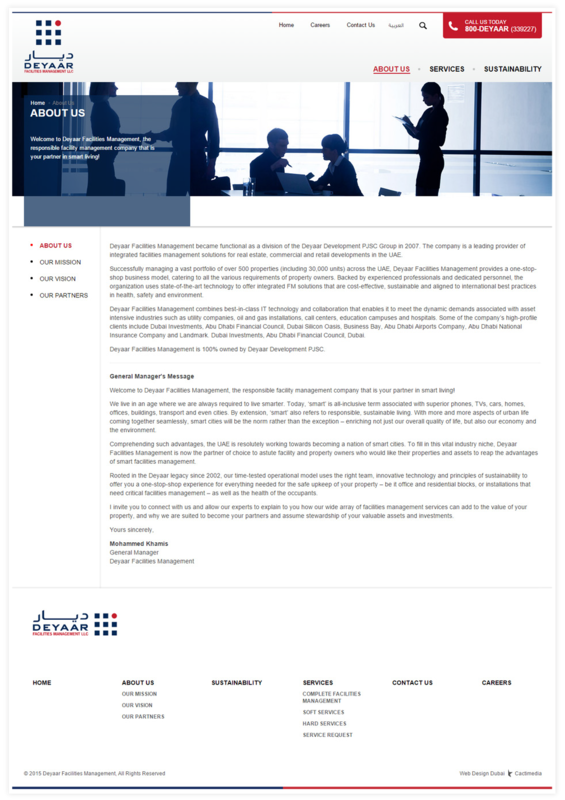 The Deyaar Facilities Management website is an example of the perfect corporate website that’s clean and very easy to navigate. 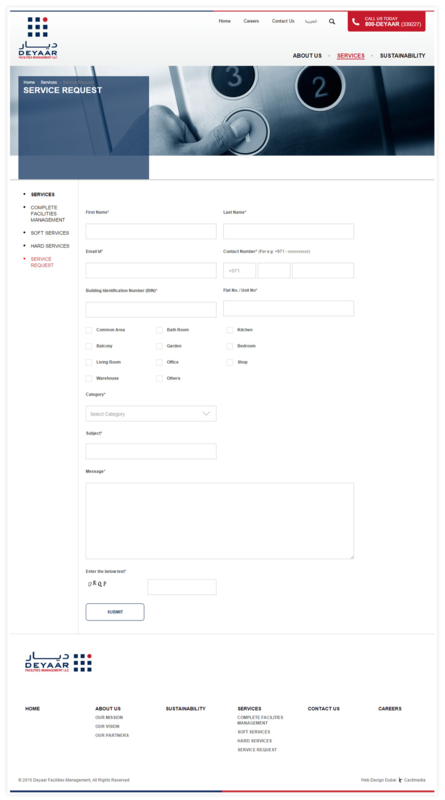 The Deyaar Facilities Management website has been given an easy to use and intuitive top menu with only 3 parent categories – considering Deyaar FM’s multiple services, this is so that the website does not come across as overly complicated. There is a large end-to-end slider right under the menu to create additional visual appeal and to keep the website in-line with the latest web design and development trends in Dubai and across the UAE. 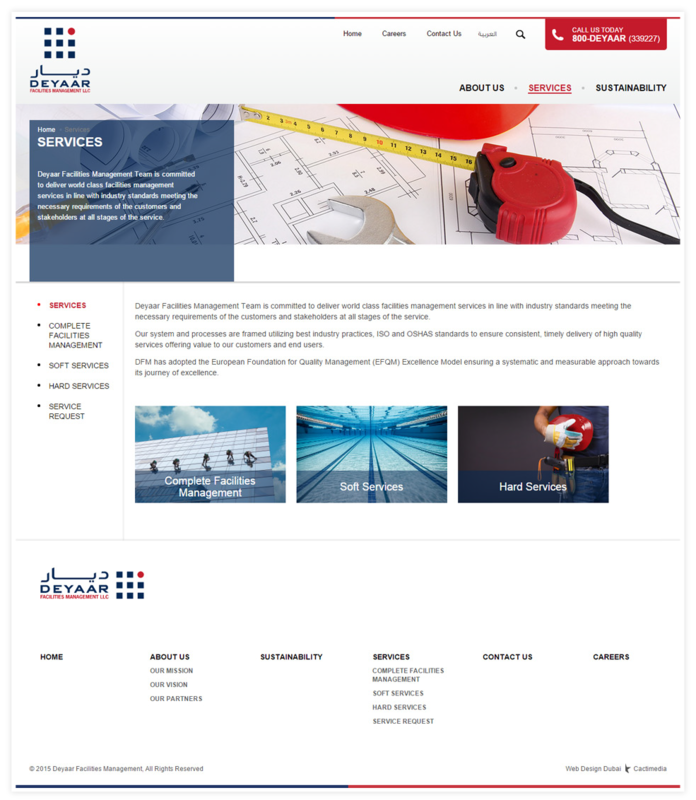 The web design team at Cactimedia Dubai has gone the extra mile to ensure there is a perfect balance between text and images so that the website not only performs exceptionally for human users but also is friendly towards search engines. The Services section has been divided into three sections in order to keep the site structure as intuitive as possible – Complete Facilities Management, Soft Services and Hard Services. 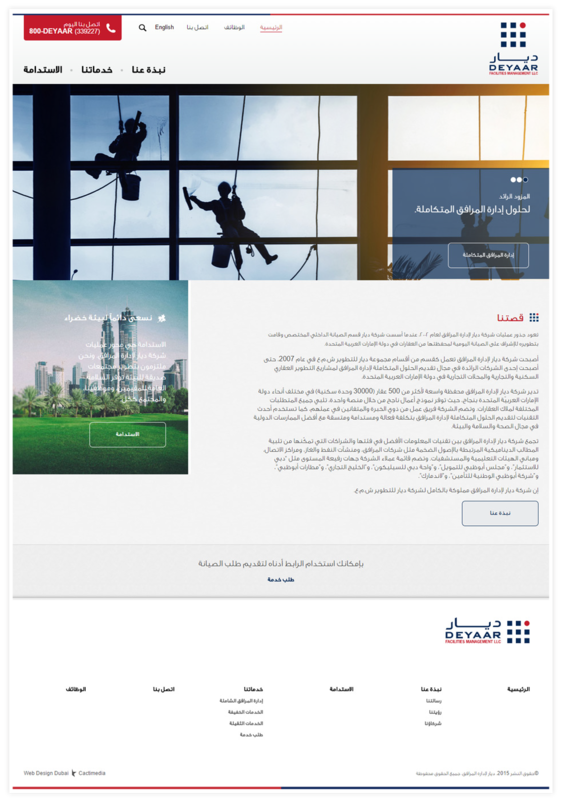 Designing and developing a multi-lingual site was very important for Deyaar since its customer base includes a mix of both English and Arabic speakers.